CotCotCot-apps.com: How do I update my iPad’s operating system (iOS)? Our applications are compatible with the iPhone, iPod Touch and the iPad. However, because our applications require an operating system of iOS 4.0 or later, you might need to update your tablet’s operating system (iOS) in order for them to work properly. You will need to use iTunes to install the most recent version of the iOS software on your machine. Neither the content of your appliance nor your user preferences will be effected by this type of update. 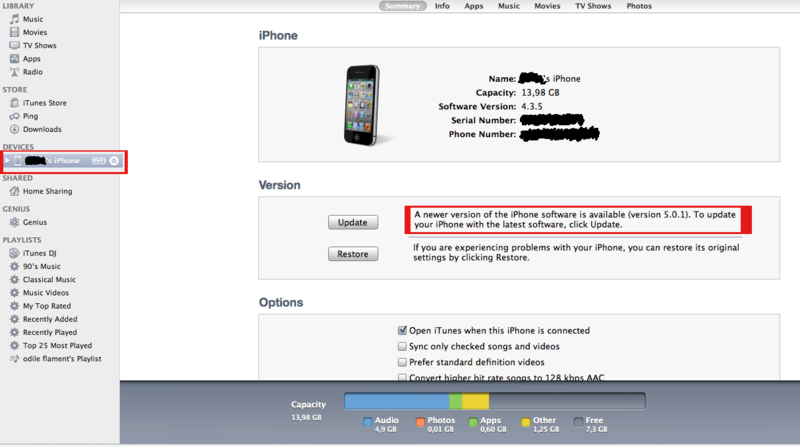 Before any attempt to update, make sure that you have the most recent version of iTunes installed. In iTunes, select the connected device when it appears in the “Devices” section.